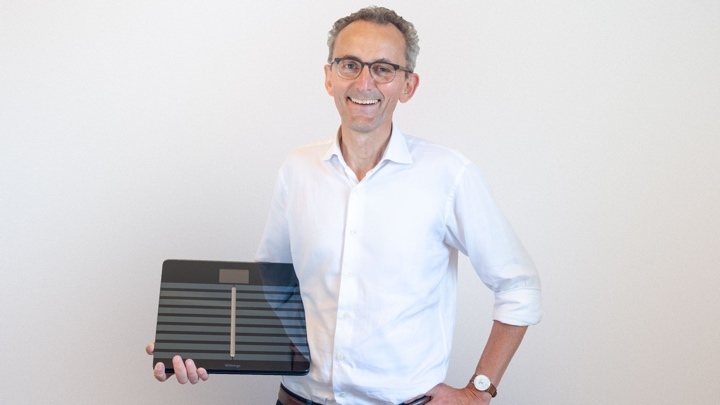 Withings co-founder Eric Carreel has officially taken back the connected health business he along with fellow co-founder Cédric Hutchings sold to Nokia back in 2016. Along with the sale, Carreel is reinstating the Withings brand and will relaunch it under the name by the end of 2018. New innovations are being promised with a continued focus on launching connected health products and exploring the preventive health space. For those wondering about what is happening to current Nokia Health products, those will continue to be sold for the time being, which means you should still be able to buy the Steel HR hybrid smartwatch, an array of connected scales including the Body Cardio and the recently launched Nokia Sleep. Data will still be stored in the Nokia Health Mate, but it'll be interesting to see how the companion app changes once Carreel and his team have got their hands on it. The Withings team will be largely based in its original headquarters in Paris with teams also situated in the US and Asia. "We are still only just starting to discover what connected health can really bring to people," said Carreel. "From now on we must concentrate our efforts on developing tools capable of advanced measurements and the associated services that can help prevent chronic health conditions. Today's technologies allow us to imagine solutions that have the potential to benefit the lives of millions of people, and our ambition is to ensure that we, as Withings, lead the way with technological advances and intuitive designs." This brings to a close months of uncertainty relating to Nokia's Digital Health business with the Finnish company announcing a strategic review of the division back in February this year, which included consumer and enterprise products. A leaked memo from Nokia revealed that it "didn't see a path forward" for the struggling division. Then came the rumours that big hitters like Nest and Samsung were among the companies interested in acquiring Nokia Health. But it instead it ended up with one of the men who said yes to Withings being sold to Nokia for €170 million in 2016 buying it back. There's no details on the precise amount that Carreel paid to buy back the connected health business, but reviving the Withings brand is something to certainly to get excited about. The French company brought about some of the biggest innovation in the health and fitness space before it was sold, so here's hoping for more in the coming years.